XL 4500 x 3003px 15 Mb. 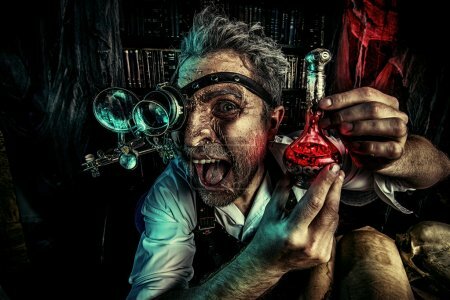 Portrait of a crazy medieval scientist working in his laboratory. Alchemist. Halloween.